Style Me Pretty Boutique open house is set for Saturday, Aug. 25. WILMINGTON — The Style Me Pretty Boutique open house is set for Saturday, Aug. 25. There will be an open house from 10:30 a.m.-3 p.m. with a ribbon-cutting ceremony in conjunction with the Wilmington-Clinton County Chamber of Commerce at 11 a.m. Style Me Pretty is located at 123 N. South St.
Come and enjoy refreshments and appetizers while you shop and enjoy the patio area. There will also be giveaways. 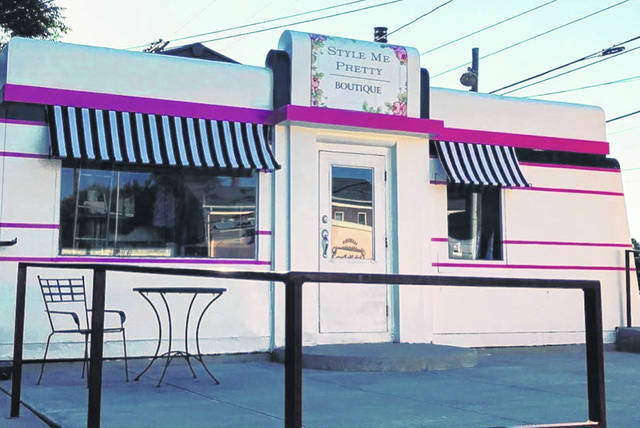 Style Me Pretty has repurposed the old “Little Giant Diner” into a small clothing and home goods boutique. You can’t miss the pink fashion truck out front that is also open daily. They also host parties on the patio in the evenings or weekends for small groups. Style Me Pretty is open on Tuesday-Friday from 10:30 a.m.-6 p.m. and Saturday from 10:30 a.m.-3 p.m. They also keep their Facebook up-to-date with new inventory at facebook@stylemeprettyfashion.